As of Saturday, at 22 days in, the government shutdown over a border wall becomes the longest in U.S. history. And as President Donald Trump dominated the media narrative this week with a prime-time speech from the Oval Office, a trip to the border, and nearly a dozen gaggles with reporters, he said plenty that's not making it through this checkpoint without close factual inspection. Welcome to Fact Check Friday. Who's going to pay for the wall? 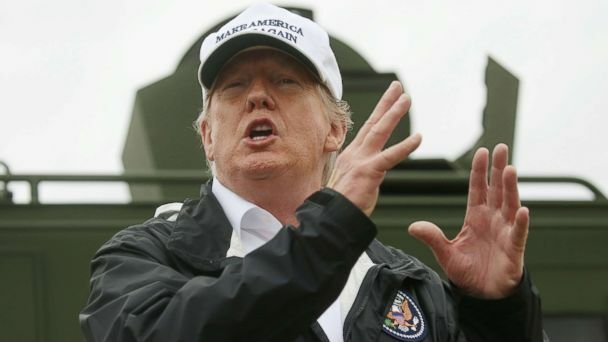 So far, the answer to who will pay for Trump's wall is: taxpayers and possibly victims of natural disasters if the president declares a national emergency. At the same time this week, he issued a jaw-dropping caveat to his signature campaign promise that Mexico would pay for the wall, saying, "I never meant they are going to write out a check." But in 2016 (while he was telling everyone with a microphone that Mexico would pay), his campaign website included a statement calling for a one-time payment from Mexico ... basically demanding Mexico cut a check. The plan threatened to use U.S. banks to cut off billions in remittance payments to Mexico unless Mexico forked over $5-10 billion for the wall. "When -- during the campaign, I would say, "Mexico is going to pay for it," obviously, I never said this and I never meant they're going to write out a check. I said, "They're going to pay for it." They are," Trump said on Thursday. He once again falsely claimed Mexico will pay for the wall "indirectly" through his newly revised trade deal with Mexico, called the USMCA. That agreement has yet to be approved by Congress. Trump's argument for the wall is that drugs and criminals are pouring into the United States through the southern border. Without the wall, he says, this can't be stopped. For the doubters, and the layman, he explained it this way Thursday while visiting the border in McAllen, Texas: "The wheel is older than the wall. You know that? And there are some things that work. You know what? The wheel works and a wall works. Nothing like a wall." Notwithstanding that mankind's walls predate the wheel by nearly 6,000 years, there's plenty of evidence criminals with drugs and weapons would continue to drive right through ports of entry -- with or without a wall. Enter Melisa Lucio, the Patrol Agent in Charge at the McAllen station, who presented a slide show showing the president all the drugs, weapons and cash her agents have seized. One problem: Virtually everything she showed him was caught at ports of entry - not where Trump wants a wall. That's not to say drugs don't cross over from the open desert -- they do. But according to the DEA 2018 Drug Threat Assessment, large amounts of drugs enter the U.S. through ports of entry at the southwest border. Drugs like fentanyl are also mailed from China. So, the border patrol official showing the president drugs stopped at a point of entry doesn't support his argument for a wall. She also showed him a photo of a drug-smuggling tunnel, built -- under existing wall. Democrats accuse the president of "manufacturing" a crisis at the border. Part of that criticism is accurate, part isn't. As Trump points out, President Barack Obama also called it a "humanitarian crisis." Migrants are certainly suffering. There are close to 15,000 unaccompanied minors in detention centers today, children waiting for sponsors. Detention centers are overwhelmed in the U.S. and thousands of migrants are now living in tent cities on the Mexican side of the border waiting to claim asylum in the United States. But is it really a "national security crisis," as the president claimed in this opening line from his Oval Office address? "My fellow Americans, tonight I'm speaking to you because there is a growing humanitarian and security crisis at our southern border. Every day, Customs and Border Protection agents encounter thousands of illegal immigrants trying to enter our country." There is a concerning uptick in families coming across the border, but if you're judging by the overall flow of migrants into the U.S., it's not a security crisis. According to Customs and Border Protection data, illegal migration is down dramatically over the last two decades. For example, in 2001 there were 1,643,679 apprehensions at the border, compared with 396,579 in 2018 -- a more than 75 percent drop. It's true that Trump has seen apprehensions increase by about 90,000 during his second year in office. That bothers him, but it's not accurate to call that situation a "security crisis" given recent historical context.